This being Columbus Day I was going to write about Christopher Columbus and why we celebrate this day, but then I thought ' Oh bother....I want to write about Robin Hood! ' ...And so Robin Hood it is to be. This morning Didi and I broke our usual Columbus Day 'Doctor Dolittle'-with-breakfast-in-bed routine and watched one of my all time favorite movies instead : "The Adventures of Robin Hood". Ah yes, Robin Hood ( sigh ) my hero. 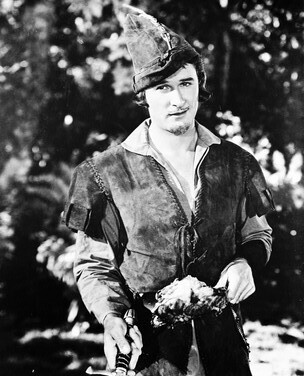 And no one played him with such joie de vive and downright brawny swash as Errol Flynn. But was is even more amazing than Errol's dashing good looks (!) is the breathtaking Technicolor. 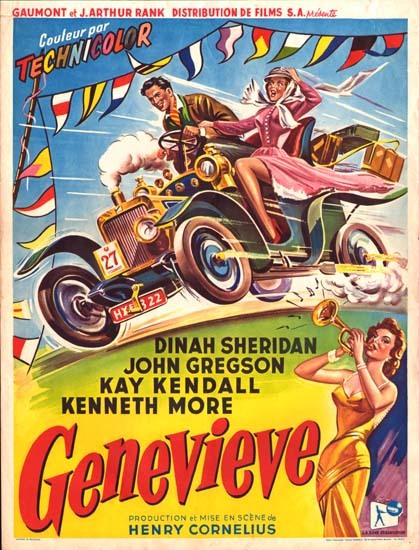 Yea verily, the sumptous lush Technicolor was the star of this film. 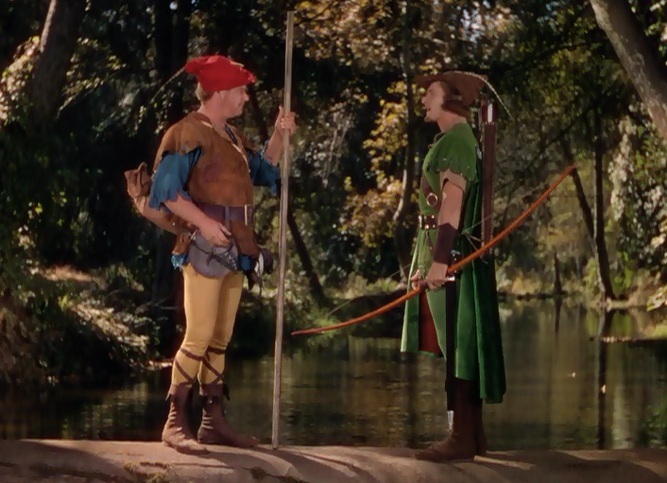 In 1938 there were only a few adventure films being made and even fewer in COLOR ( with the exception of Jesse James, released around the same time ), but even today when we have color action films galore to choose from, none can compare with the wonderful Robin Hood! 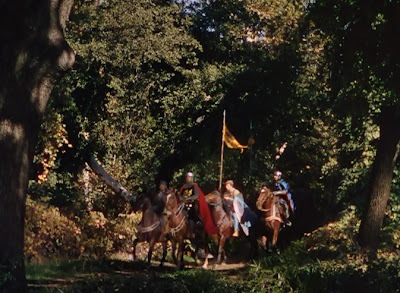 The astounding Technicolor shines in all it's greenery n'glory when Sir Guy of Gisborne and his entourage ride forth into Sherwood Forest. 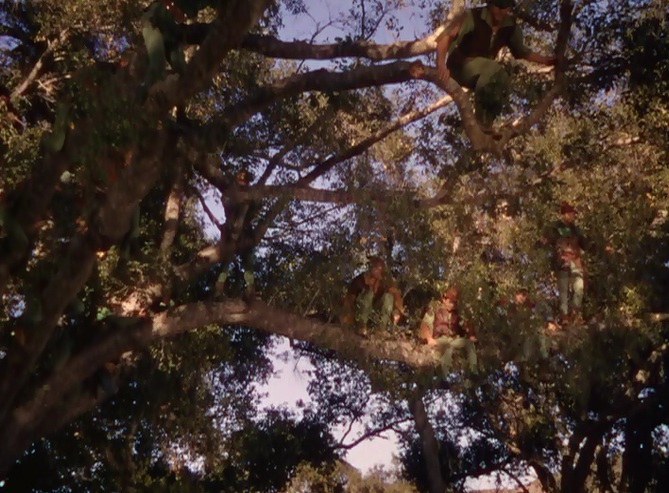 Golden shafts of sunlight falling through the leaves of the trees brightly shimmer upon the forest ground whilst Robin and his band of merry men congregate aloft in the boughs of the mighty oaks and sycamores, lying in wait to ponce upon their unsuspecting foe. And lo! 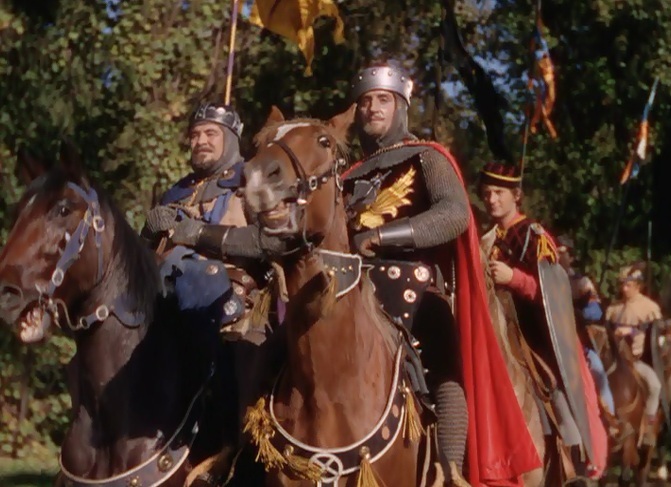 amoung Sir Guy's Norman entourage was a fair beauty - the lovely Maid Marion ( Olivia de Havilland in her first color picture ). In a gown of crimson and gold satin she was the fairest flower in Sherwood. After a scrumptious feast of pheasant ( generously provided by Prince John ) Robin took Marion aside and showed her how her Norman guardians treated the good people of Nottingham. "Not a pretty sight for such beautiful eyes as yours" but Maid Marion found it very interesting, and even moreso, understanding a little about the outlaw whom so many looked to for help. These scenes in particular were always my favorite because they bring to mind many fond memories and noble feelings of yor, and there is not a patch of woods that I wander through without thinking of Sherwood and Sir Robin's band of merry men. 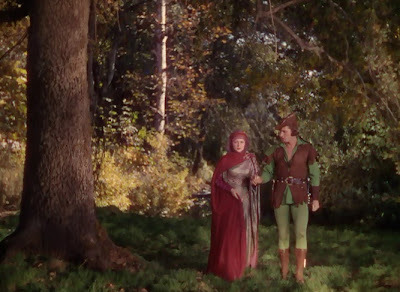 Sherwood Forest was actually not filmed in England at all, but rather in Chico, California, at a beautiful area called Bidwell Park where stately moss-covered oaks and sycamores abounded. But ANY forest can take on the magic and enchantment of Sherwood with a wee bit o' imagination. Thanks for stopping by Mike. And yes, what a shame indeed...having a Robin Hood Day at Bidwell is a wonderful idea. 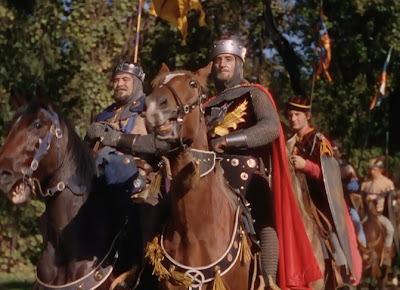 There could be archery and jousting tournaments, an outdoor feast, and all those lovely tents where motley dressed vendors could sell their Medievial souvenirs. 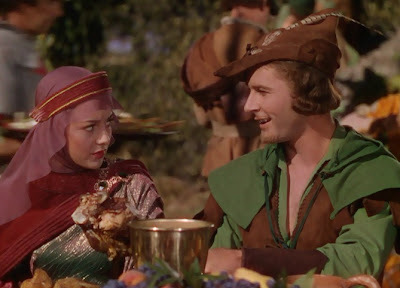 And of course an evening showing of The Adventures of Robin Hood would have to be on the schedule too. Its quite interesting to join the glorius greenery of Sherwood Forest. I think that your plan to write a story about Robin Hood is a great idea. I think that there are a lot of ideas you can get from Sherwood hero Robin Hood.